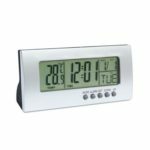 This FanJu FJ3531 Projection Alarm Clock can project time and temperature at the same time, allowing you to easily read from any angle. 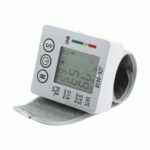 With LCD screen display, time, indoor temperature and humidity are clearly displayed. Double separate alarms allow you to set different alarm for different purposes. Powered by 2 x AAA batteries (not included) or power adapter. 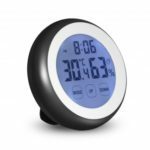 This creative alarm clock can project time and temperature at the same time, allowing you to easily read from any angle. Press the button to project for 8 seconds with battery and keep project with power cable, you can also use ON or OFF button to control it. Time in 12/24 format, and temperature is displayed either in C or F. Indoor temperature and humidity are clearly displayed. Those functions is helpful for you to prepare yourself well in advance for outdoor activities. Powered by 2 x AAA batteries (not included) or power adapter. 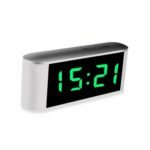 Easily touch the top of the clock to activate the backlight and projection for 8 seconds. 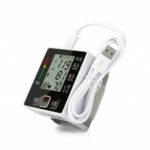 Backlight and projection hold lighting and the backlight has 4 level selection with USB power cable. 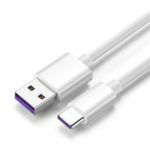 USB charging interface on the left provides a solution for easy charging of electronic device, such as your mobile phone, tablets and etc.